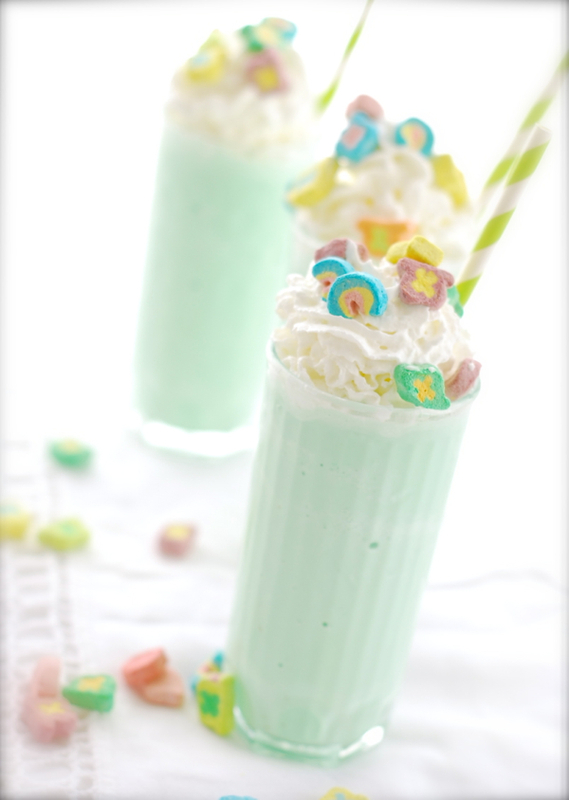 Looking for a creamy, minty, sweet libation to celebrate St. Patrick’s Day? When I was little I always loved going to McDonald’s to get a Shamrock Shake on St. Pat’s. This is that same, nostalgic drink… all grown up. Serve these without the Bailey’s and Jameson for the kiddos, and for teetotalers. They’re delicious either way! Place ice cream, Bailey’s Irish Cream, Jameson Irish whiskey, peppermint extract, and food coloring in the bowl of a blender. Blend until smooth. Pour into glasses. Top with whipped cream and garnish with the Lucky Charms marshmallows.